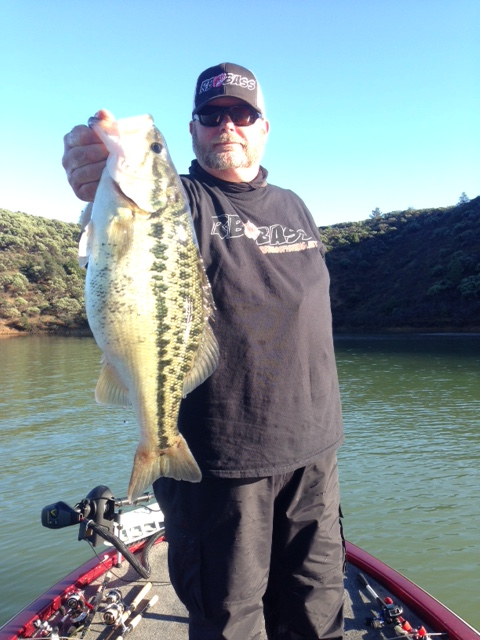 So I headed down to fish the Wild West Bass Trail PRO/AM at Lake Mohave. I’m going to talk about what my pros did. On the first day we headed south for a 15min run to a south facing point. The bait of choice was a small 3/8th brown and purple jig matched with a Yamamoto Fat Baby Craw. My pro dropped the trolling motor and immediately started burning bank searching for the small mouth bass that started to move in shallow. When he came across some fish he would watch the direction they were swimming and determine where he would cast his jig to cut them off. This worked for him both days of fishing enough to cash a check. Day 2 Pro I was with had a decent limit the first day. My pro had a cove he wanted to fish all day. This particular cove had man made structure along with wood piles that were placed in 20ft of water. He was throwing a small jig, small keitech on a 1/4oz ballhead and a small crank bait. This cove was very popular amongst the tourney anglers. At one time there were 5 boats packed tight. I believe there was to much pressure on these fish to catch them and that’s exactly what happened. 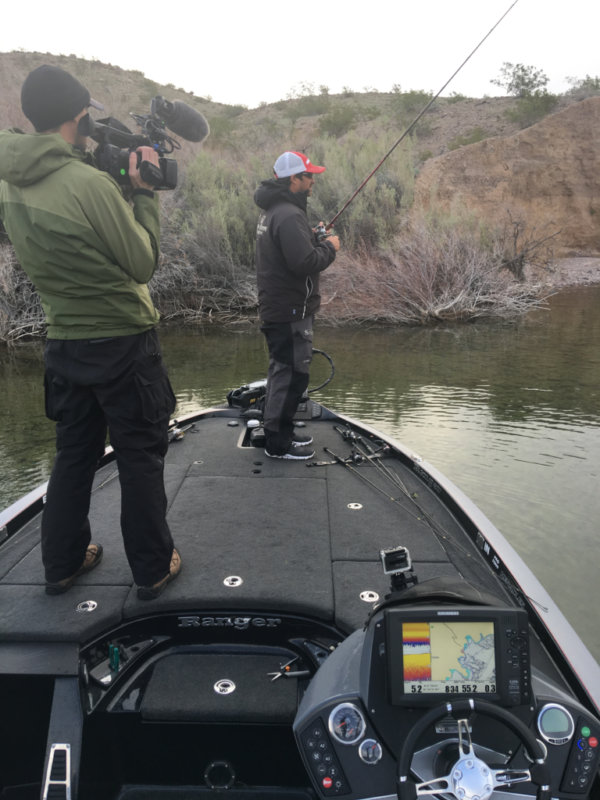 Day 2 Pro did not have any fish to weigh in. Day 3 I had a very unique opportunity to go as an observer with one of the top 10 pros. I was paired with a very good fisherman Justin Kerr. Very humble and great guy to be in a boat with. He was sitting with 30lbs going into day 3 and behind the leader 7lbs. We ran south to a big cove where he located a lot of active fish. As he rolled up to his first point the trolling motor was in the water burning bank and scanning for smallies. When he would find a cruiser he would cut him off by casting ahead with a drop shot and work the bait to entice the fish to bite. He explained to me it was crucial to find fish in Lake Mohave because there was a lot of dead water. He sacked 19lbs by doing this. He missed out on the win by a little over one pound. 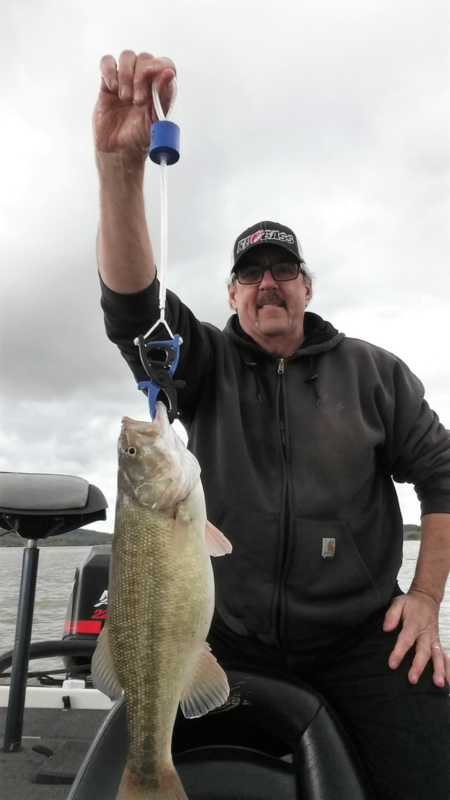 Lake Mohave is just weeks from turning wide open with the bite. My next lake will be Lake Havasu at the end of March. Be sure to follow RB Bass on Facebook, Instagram, YouTube and sign up for the email list.